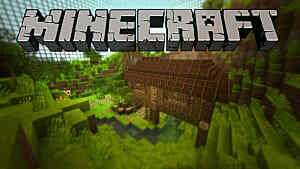 The best thing about Minecraft is that it is completely customizable. 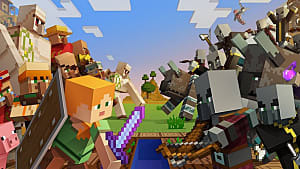 This allows fans of the game to create their own unique features in the game, and one of the most popular customizable features in Minecraft is character skins. There are many ways how you can change your character’s look in the game: you can download a ready skin pack online or you could create a skin of your own that would be completely unique. But how do you do that? Fortunately, there are lots of programs that can help you create a custom skin. The next question is: which one do you choose to make your skin? 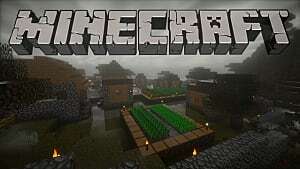 That’s why we present you with the list of the best online Minecraft skin makers for PC/console users and another one that can be used for your Pocket Edition on your phone or tablet. 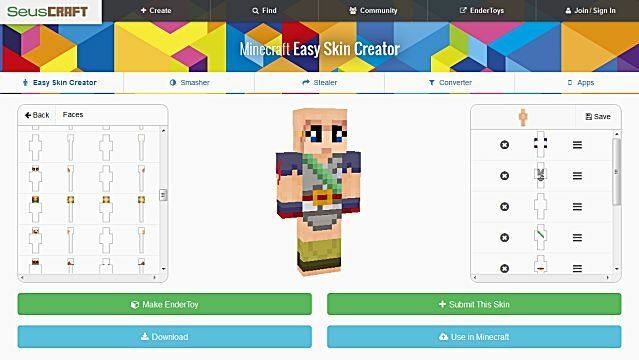 SuesCraft’s Easy Skin Creator is probably the easiest and the most convenient Minecraft skin maker on the web. It lets you choose from a great variety of details to put into your skin, and finish it rather quickly instead of filling each and every pixel manually. The Skin Stealer can grab a skin from another player in game that you may have encountered previously. Just enter the username in the search field and SeusCraft will “steal” it for you in a glimpse of an eye. 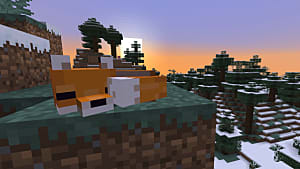 The last but not least feature of SeusCraft is The Converter that allows you to convert your old skins to a newer version that would be compatible with the latest Minecraft builds. Miners Need Cool Shoes is a bit more complex software than SeusCraft and will fit users who like to adjust every single pixel of their original skin. However, if you feel lazy, you can always use Generate Random Skin feature to let the RNG create a skin for you. You may then edit the skin that the software has generated or leave it as it is. 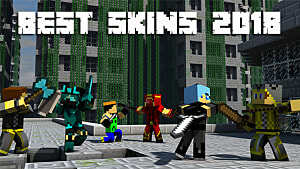 You can also upload your older skins into the Cool Shoes and use its rich color system to upgrade and redesign certain features of the skin. 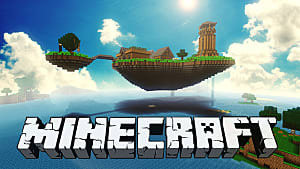 And, just like SeusCraft, Cool Shoes can grab a Minecraft.net skin from another user. All you need is to enter the user’s name into the search field and voila. Newground’s SkinCraft is a browser-based application that offers a huge pool of options. You can make a skin from scratch with a vast palette of colors and effects tools, or you can use pre-made skins and templates. 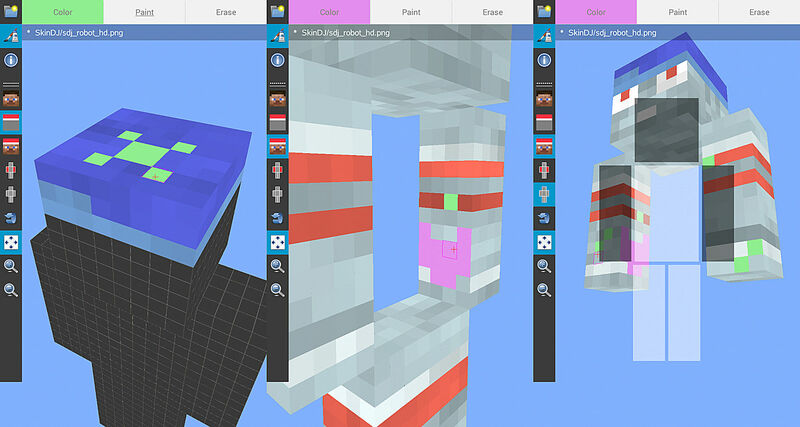 The great thing about this Minecraft skin maker is that it allows you to work with layers, just like Photoshop. You can put several layers of clothes and items on the same area, blur them out or add any other exciting effects, and turn your skin into a piece of art. 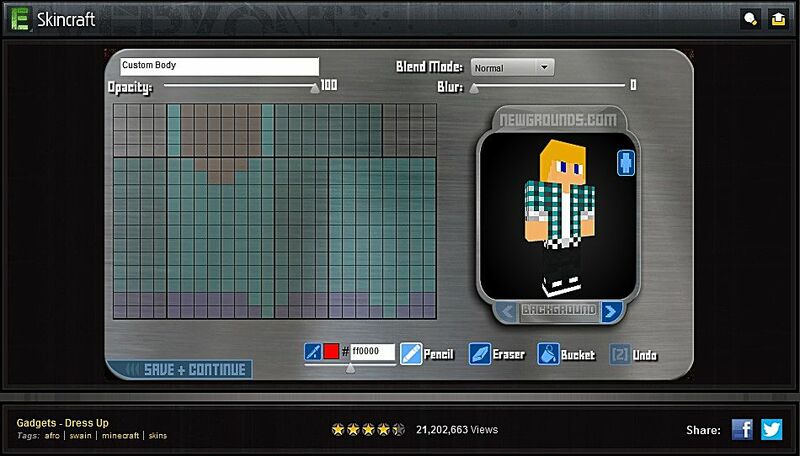 Newground website has a huge community of skin creators, so you can share your designs and let others see your creations. 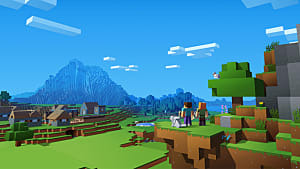 What about the owners of Minecraft PE? No problem, here is the tool that you need – Skin DJ is a totally free app for your phone or tablet, and it is constantly upgraded with new features. 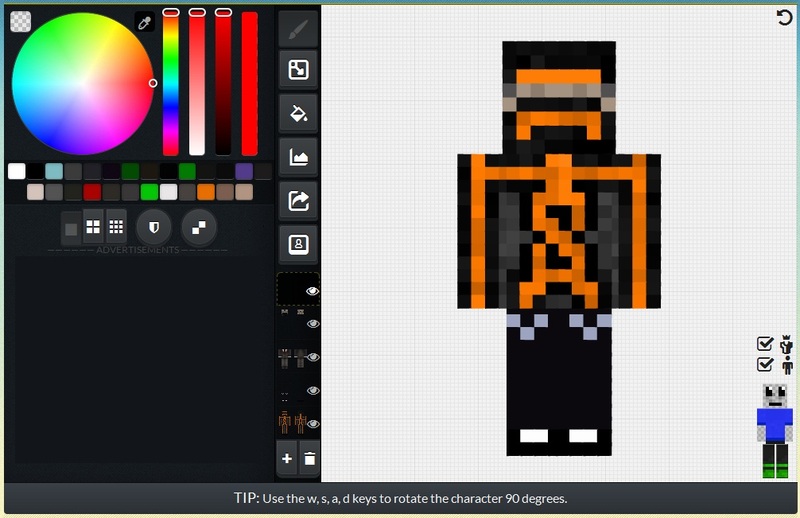 Skin DJ is really powerful and has everything you need to create your own original Minecraft skins. Here, you can break down the 3D model into parts and layers to be able to edit smaller details, if perfectionism is your goal. You have several visualization modes with various types of overlays; you can grab skins from other Minecraft PE users with “Skin Stealer”; etc. 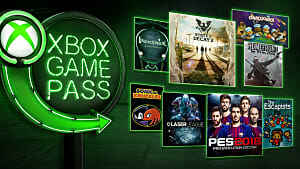 With Skin DJ there is no need to create your skins on PC, convert them and export them to your phone – you can do all this in one place and still have the same amount of tools as any other online skin maker. 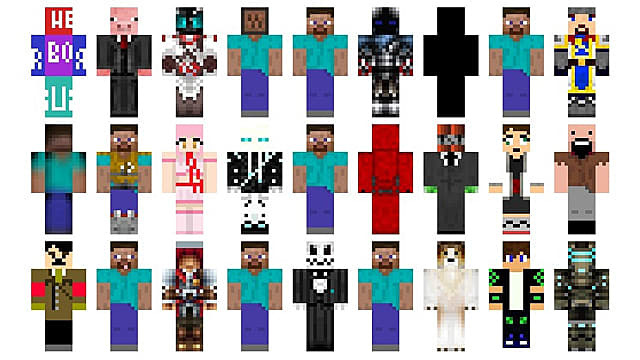 What Minecraft skin maker do you prefer to use? Leave your feedback in the comments.